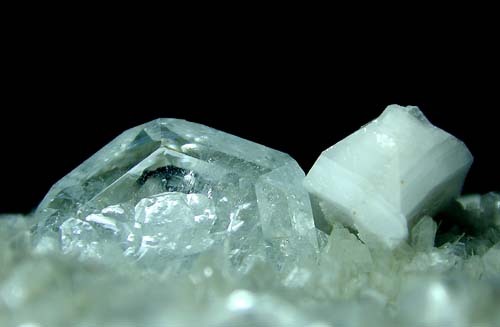 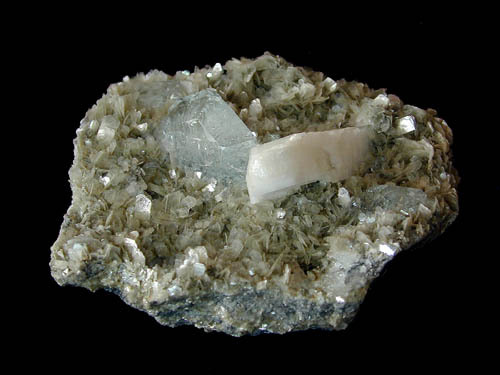 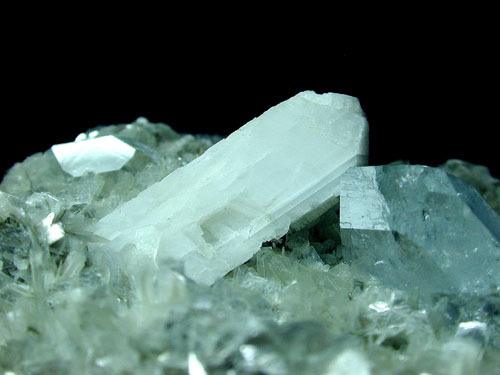 A single transparent almost colourless, bevelled tabular crystal of beryl to 22mm standing on a bed of fine muscovite mica crystals with a single prismatic twinned feldspar crystal. 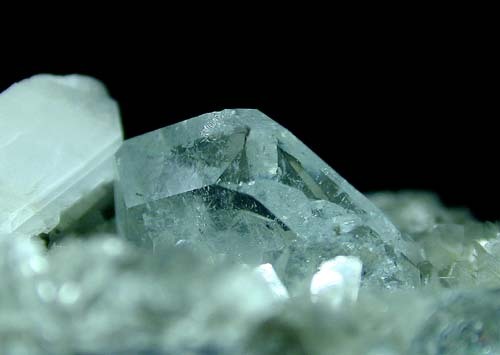 There are one or two other beryl crystals hidden in between the muscovites. 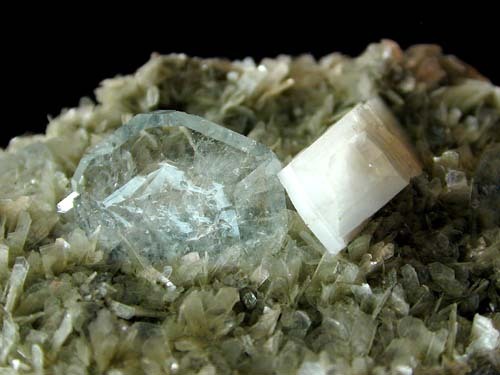 The specimen has a sawn base.